Christina Grimmie, the 22-year old YouTube star who finished 3rd place on The Voice in 2014, was shot by a lone gunman while she was signing autographs after a show in Florida on June 10. The gunman shot and killed himself during a struggle with Christina's brother. The Orlando police said that Christina had just performed with the band Before You Exit at The Plaza Live. She was with her fans and band members signing autographs at around 10:45 P.M., when the gunman approached and opened fire. According to Police Sgt. Wanda Miglio, the gunman had two guns with him and said that Christina was hit "at least twice". People working at or near the venue said they heard four or five gunshots in succession. 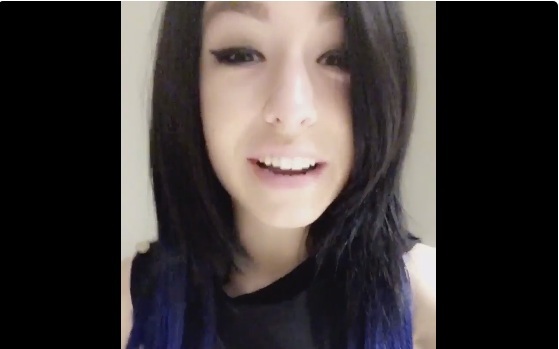 USA Today reported that Christina was taken to the Orlando Regional Medical Center alive but in critical condition. Sadly, her injuries proved fatal as she died about five hours later. Up until this moment, police have not identified the suspect nor his motive for killing the singer. ORLANDO!! Come out to the show tonight at the Plaza Live! Starts at 7:30! Prior to joining NBC's "The Voice", Christina was already known worldwide for her cover songs on YouTube. To date, her YouTube channel has more than 3.2 million subscribers and a total of more than 378 million views . There is now a pinned tweet on her Twitter account which simply says "The end." It's a sad day for her fans and supporters, a scary day for the world. How and why a young girl like Christina, suffer such terrible fate? What was the motive of the gunman who shot her? As we wait for the answers (which might never come), we can only hope and pray for peace and serenity for her family and loved ones she left behind.